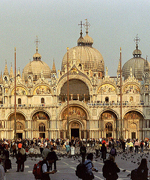 Venice is a unique city in the world so magical that it never fails to enchant all its visitors. 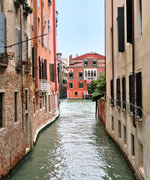 Its streets, alleys and canals are a must-see and a photographer's paradise. The city in its entirety is listed as a World Heritage Site. Located in north-eastern Italy, it has 118 small islands separated by canals and linked by pretty bridges. 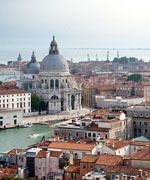 The romantic 'City of Canals' is divided into six areas or 'Sestieres', located on each side of the Canal Grande. The following areas describe the major areas in which our apartments are situated in the city. 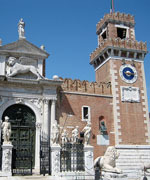 Giudecca is an island and the most south district in Venice. 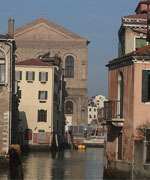 Its northern part faces the Dorsoduro district, the southern part contemplates the silent lagoon. A lot of monasteries found their ideal location here. Castello is one of the largest and most picturesque neighbourhoods of Venice, it is a charming place with its beautiful parks, narrow streets and impressive churches. Dorsoduro is one of the six sestrieri of Venice, contains the highest land areas of the city and the island of Giudecca and Fiscola Sacca. San Marco is one of the sestieri of Venice located in the heart of the city, including the island of San Giorgio Maggiore. It is strategic point from where you can reach the main places of interest. 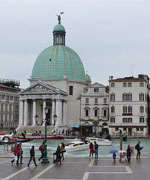 General information about the major areas in Venice where Habitat Apartments offers holiday apartments.